In residential real estate financing, the things that can go wrong in underwriting usually fall into two basic categories. Some relate to the property, while others relate to the borrowers. But the end result is the same: Even after getting a preapproval letter from a lender, aspiring homebuyers find their request for a mortgage ultimately rejected. It's uncommon, but it happens. The main thing that can go wrong in underwriting has to do with the home appraisal that the lender ordered: Either the assessment of value resulted in a low appraisal or the underwriter called for a review by another appraiser. If the first appraisal reflects the purchase price but the second appraisal is low, the underwriter will most likely reject the file. The home's value will be considered nonconforming—which means that the lender doesn't consider it worth the sum you're asking to borrow for it. Remember, most conventional lenders will only loan you up to 80 percent of a property's value anyway. You can contest a low appraisal, but most of the time the appraiser wins. 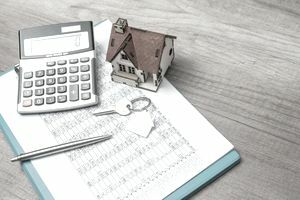 Don't think you can simply apply at a different lender and pay for a new appraisal either: Appraisers and lenders share information on properties, which are assigned case numbers specifically to prohibit a third appraisal. In some cases, a hitch means that the property might not qualify for the mortgage at all. The home could be deemed uninhabitable or have certain structures that are dangerous. Less drastically, the appraiser can't find a permit for a remodel, has found that the house has had nonpermitted improvements, or thinks extensive repairs are required to bring the home up to code. If it's not the property, the underwriter's problem lies with the loan applicant. Since lenders want assurance of timely repayments, they zero in on your reliability to earn money. Do long, unexplained gaps exist in your employment history? Have you changed jobs within the past two years and taken on a completely different line of work? Are you a temporary employee? Is the company likely to lay off staffers in the near future? All of the earned income an applicant uses to qualify for the mortgage needs to be documented. If an employee receives bonuses, commissions, or overtime that is not guaranteed, the lender might opt not to count that additional but irregular income. Mortgage applicants often assume that because they are current on all revolving debt payments, they have excellent credit and a high credit score. Not so: FICO scores are determined from the last 10 years of credit reports. Scores are also affected by your overall debt-to-income ratio and credit utilization ratio—that is, how close your credit card balances are to their limits. If you've had a short sale or a foreclosure within a certain time period, that alone could be enough to kick your file out of underwriting. Generally, FHA lenders are more lenient about the time required to buy another home after a short sale or foreclosure, but conventional lenders can reject your application for those reasons if they so desire. What's more, some short sales are reported in error as foreclosures. Other types of problems can affect a mortgage application. If your divorce has not been finalized, your soon-to-be-former spouse may have to sign documents, such as a ​quitclaim deed. If they refuse, you won't get approved. If a legal judgment suddenly appears against you (and with today's digital databases, it's bound to pop up), you might well be rejected, even if it happens in another state. If you have not filed a tax return or owe taxes, you will most likely not make it out of underwriting either. Your best bet to avoid dealing with things that can go wrong in underwriting is to disclose your entire financial history to the lender prior to your initial loan preapproval. Allow the lender to check your credit history (after reviewing it yourself, to make sure it contains no errors). File your tax returns, pay your bills on time, and do not substantially spend savings or add to your debt load between the time you make an offer and when you are expected to get that final approval on your mortgage application.